Is a trip to Paris in your future? Consider taking a Paris tour with The Paris Guy. It will be Paris sightseeing at its finest and you can save money with our code ROAMING. 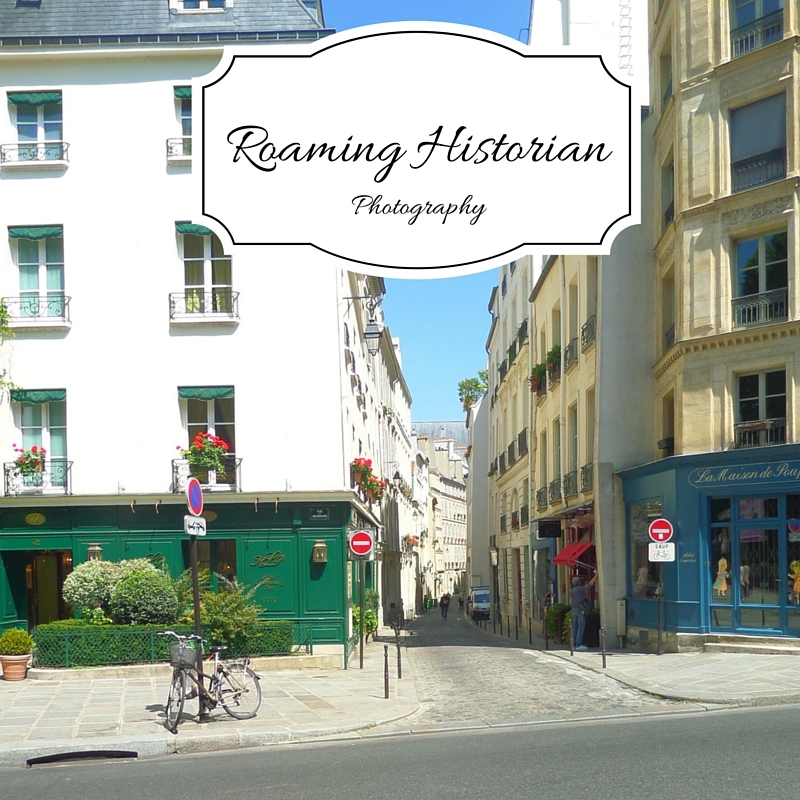 Our readers save 5% using the code ROAMING on their Paris tours! We’ve loved all the tours we’ve taken with the Italian branch of this company, so we’re very happy for this venture. Paris Guy tours cover several great Paris attractions, so your trip to Paris can be filled with great adventures, fantastic Paris sightseeing, and skip-the-line access. No need to worry about the long line for Louvre tickets. Float past the waiting crowds to see Mona Lisa herself, as well as other fabulous masterpieces. The Paris Catacombs tour is sure to be sought after. Wait times to get into the catacombs can last up to three hours, but with the Paris catacombs tour you will skip-the-line and be seeing thousands of bones quicker than you can say “Gates of Hell.” No Paris sightseeing trip would be complete without visiting the Palace of Versailles. The Versailles tour includes transportation to the city on the outskirts of Paris, skip-the-line access, and a tour of the palace and the grounds. These Paris attractions can’t be missed, but sadly too many people spend a lot of wasted time in lines. With Paris Guy tours, you aren’t left waiting. You can enjoy Paris sightseeing have a great adventure with a small group, and—with our code ROAMING—save money, too. Booking a tour is quite easy. 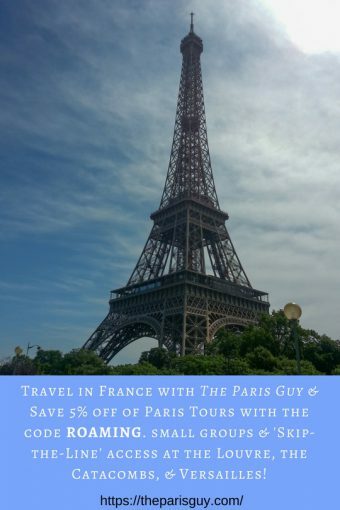 After you’ve checked out all their offerings, select the date for the tour(s) you want, pick your time, enter how many people are in your party, and then press “reserve now.” At checkout enter our exclusive promo code of “ROAMING” to save 5% off of your small-group Paris tours. Pay for your order and The Paris Guy will send you an email with your confirmation and all the logistics. Then, you just go, see great Paris attractions, and have an amazing time on your trip to Paris…it’s that simple. 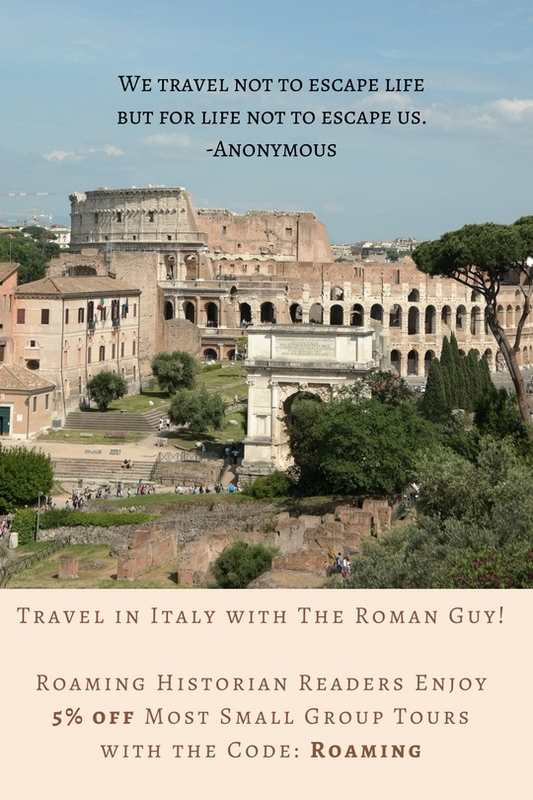 If you have questions about the tours that we’ve taken with their partner, The Roman Guy, please leave a comment below.